We use cloud computing for threat analysis, allowing for faster and more accurate detection. Easy to deploy - you don't have to configure anything. No large time commitment necessary. We help you keep your network safe so that you can secure your valuable data. 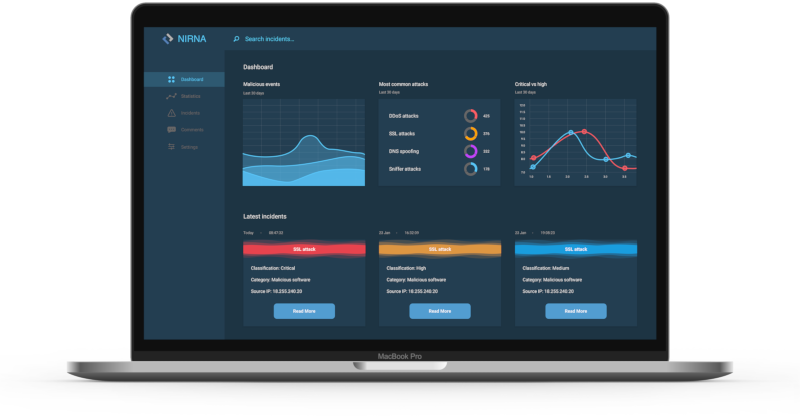 Our customer portal gives you complete insight into your network's security - from drill-down statistics to full incident management. Review the latest incidents here and use the comment feature when you have any questions or need further assistance.